What is a treble bet in betting? Bookies offer many types of multiple bets, all known by weird and wonderful names! Getting to know them and what they are about is an absolute must. This post will focus on answering the question, “what is a treble bet?”. I’ll also include an example of what this looks like on a couple online betting sites. 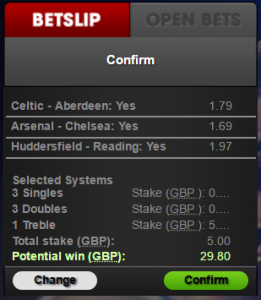 A treble bet is a type of accumulator or ‘acca’ bet that joins together 3 single bets or ‘legs’ to form 1 bet. Each leg of a treble must be placed on a different sporting event. If the first leg of a treble wins, the returns are placed onto the second leg as the stake. If the second leg wins, the returns are then placed onto the third leg as the stake. As each leg wins, the returns multiply and if all legs of a treble win there is the chance of returning a tidy profit! But remember: only one leg in a treble has to lose for the whole bet to fail! 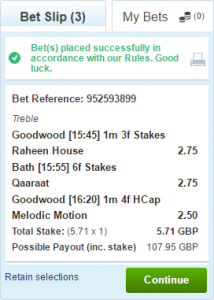 With slightly more risk than a ‘double’ (2 legs) but not quite as much as a ‘four fold’ acca (4 legs), the treble is one of the most popular multiple bets placed by punters. What sports can you place a treble bet on? Treble bets are a popular choice of bet for a variety of sporting events, in particular football and horse racing. However, they can also be used in other sports such as tennis or rugby. Now that we’ve answered the question, “what is a treble bet?” let’s take a quick look at some similar types of bets. A ‘double’ bet is another popular type of acca bet that joins together 2 single bets or ‘legs’ to form 1 bet. Both legs of a double must be placed on a different sporting event. If the first leg of a double wins, the returns are placed onto the second leg as the stake. If the second leg wins there is the chance of returning a reasonable profit. 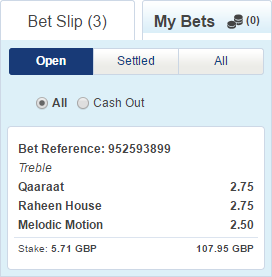 Similarly to a treble bet, only one leg of a double has to lose for the whole thing to fail! ‘Four fold’ accas join together 4 single bets or ‘legs’ to form 1 bet. Each leg of a four fold needs to be placed on a different sporting event. If the first leg of a four fold wins, the returns are carried over onto the second leg as the stake. And so on…In fact, if the fourth leg wins, you’ll more than likely receive a very nice profit indeed! But remember: only one leg of a four fold has to lose for the whole thing to fail! Click here to read our full guide to accumulator bets. 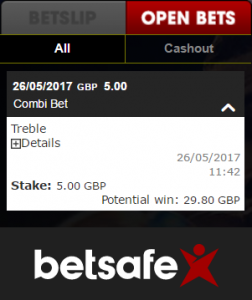 Can you make money from treble bets? The short answer is ‘yes’! With a technique called ‘matched betting’, you can minimise the risks usually associated with betting on multiple legs. OddsMonkey have created a number of tools to help you make money from treble and accumulator bets. The AccaMatcher and AccaFinder. Find out more by clicking on the title of each tool. However, if you’ve never heard of matched betting, it’s a good idea to start at the beginning. The simple technique is used to earn a consistent second income and works like this…By placing two bets (back and lay) instead of one, you can turn bookmaker free bets into real money. 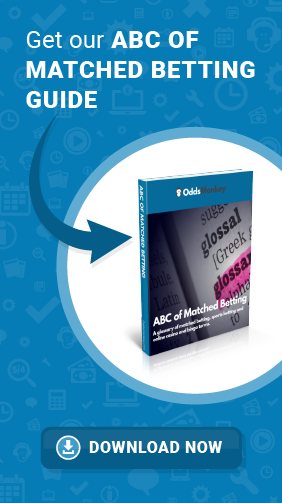 Download our free Introduction to Matched Betting to find out more. 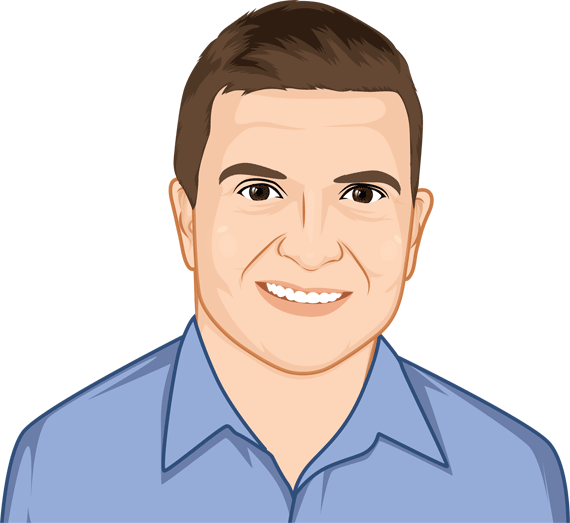 ◂ How does a halftime/fulltime bet work?